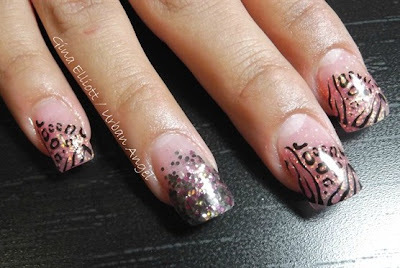 "I started doing nails because I was a stay at home mom, living in a new area. I had a hard time meeting people and I wanted to earn some extra income that would still allow me to spend time with my children and have some me time socializing. I’ve always had a dream of one day opening a full service spa, and a friend of mine and fellow nail tech encouraged me to take a nail course. To be honest it wasn’t something I had thought about before, but once I took my course, I fell in love. It’s creative, challenging and social. I am inspired by so many things. Other nail techs, shoes (I don’t go shoe shopping, I go shoe photographing! My sister in law asks me if “I’m ever going to buy any of the shoes I look at!” lol) But I’m mostly inspired by my clients. I love how they will combine nail samples I have on display or allow me to change the designs that they’ve brought in to make them my own. I’ve never done the same nails twice! When I was in Victoria I did only acrylic nails, but we moved to Calgary in July and almost everyone out here wanted gel, so when in Rome…. I use INM acrylic colours. I don’t think I’ll ever give up acrylic because I have so many favorites. 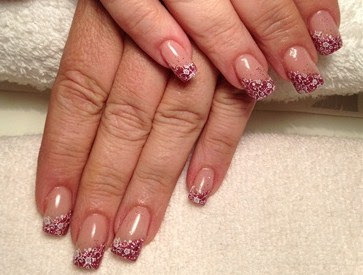 For gel I use Amore, LCN and some akzentz. I’ve been really blessed to meet some wonderful ladies out here who have helped me with my transition between acrylic to gel and shared their knowledge with me, and they’ve become my nail besties. So as you can see, she's a very adaptable, talented nail tech, and I think she's going to go far with all that motivation! 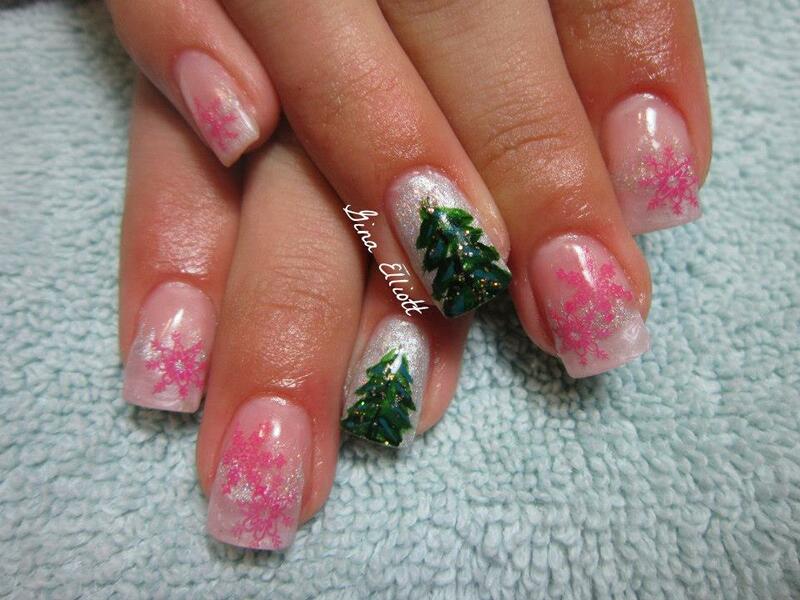 I know I can't wait to see more from her :) Please check out her Facebook and Nail Art Gallery for more of her work. As for the update on Diva Pirate - I'm still out to sea... being a Pirate... a very sick pirate. I'm watching my crew go home today and then I get a new crew for the next 4 weeks... and then its my turn to go home - and back to my nail goodies and family. Honestly, this trip to sea can't end soon enough - perhaps the pirate lifestyle is starting to lose its luster? Until next time!